This posed as the perfect opportunity to escape and before she knew it she was in Singapore. After the induction, she was being introduced around, when one of the colleagues said, “I will be damned, and you are the Indian exchange student Dipa Basu!” I am Pierre from London Elementary! Do you remember me? Meeting a long lost friend in a new country was a kind of relief for both. They caught up on each other’s lives and Dipa realized Pierre had moved into Singapore around 3 months back on a promotion. Pierre was the first friend Dipa had made when she had been to London on a student exchange program. They routinely caught up for lunch and evening outings and grew really close. Instead Pierre asked “Are you still adamant on the done with love stance?” Dipa was a bit surprised, but quickly recovered, “I asked first!” she said. “You never say done to chocolates and love!” Dipa completed the sentence. Dipa was stunned by the revelation! She liked Pierre when they were in school and now over the months they had grown really close. She was conflicted if it was love or attraction, but the moment she had come to know he was engaged, she had decided to reign in her wandering heart. She didn’t wish to be a third wheel, nor did she want to ruin her special friendship. Now this declaration by Pierre confused her even more! Dipa showed his Facebook profile on her phone and exclaimed “It says engaged! I am writing this story for a flash fiction contest Shades of Love, hosted by Preethi Venugopal and 8 other bloggers. Its really a very nice story. Thats a cute love story. Loved loved loved the cute little love story! Thats why, I can’t stress more on how important is communicating about your feelings then and there. What a lovey dovey story just like those M&B days and Singapore made me glued to it as if I know them. Cute story and it’s really a scenario in many prospective relationships. I am a sucker for romance. 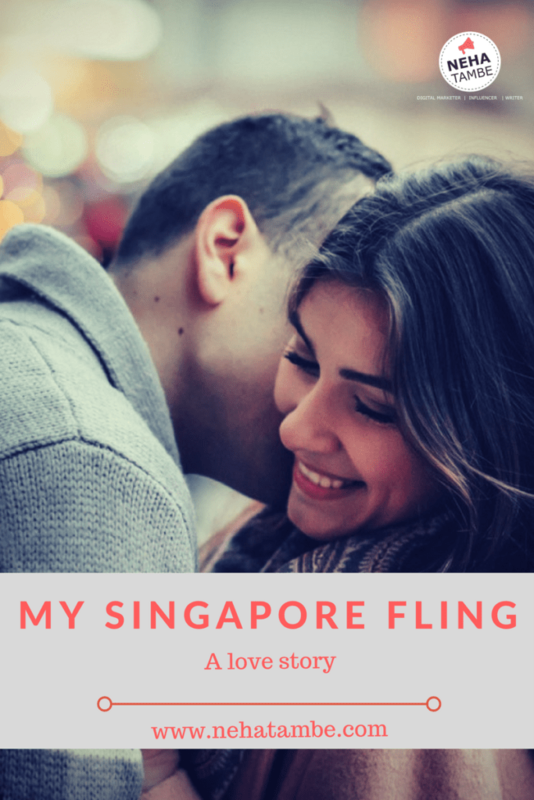 I have read the original ‘My Singapore Fling’ and have loved it. But your flash fiction made me yearn for more and I wish I could read a longer version of this. Such a cute story! You built my excitement and I wish to read more! Looking forward to reading more such stories by you. Loved the story. It is very cute small love story and you wrote it perfectly. A very sweet love story. 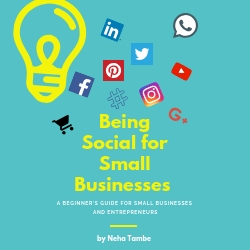 Very well written and engaging till the end. Aww such a cute story. These things make us think sometimes reality is not what we see or understand. What a sweet post! Gotta love a good love story. This is such a sweet story. I was left with a smile on my face in the end. Good one, Neha. That was indeed such a sweet story! Good work! Aww that is really a very cute love story. Sometimes things just happen because they are meant to be and that’s the best that can happen for us in life. Such a beautiful and cute love story. I wish it continued more. Never say no to chocolate and love….loved it…. So sweet…. how misunderstandings are created on social media…! Ah, the perils of fb updates in modern life! Funny twist at the end. Not similar but i had a quirky assumption about a friend of mine seeing his FB wall. After long time, when we were talking about something and this particular incident came up out of the blue. We laughed out loud after he clarified. This piece of fiction reminded me of that incident.